Automation is a process through which safety and productivity are optimised using machines, control systems and information technology. 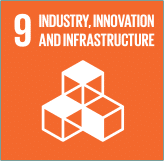 Most mining operations use conventional and mechanized mining methods, and the automation process is only now entering the remotely managed phase, with occasional ventures into semi-automated and automated machinery.In the mining industry, safety, health and productivity motivate the drive to move forward in the automation process. The industry does not automate for the sake of automation, because, in many instances, operator reaction, experience and judgement assist in achieving an optimum combination of safety, health and productivity. Mundane and tedious tasks are typically targeted for the next level of automation, as well as tasks that require accuracy and precision for a quality outcome. Accuracy and precision are not the best traits of the human being – and people do lose concentration when faced with repetitive, boring tasks. 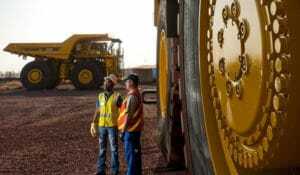 Anglo American has found that the quality achieved by automating repetitive tasks extends beyond productivity, to the operator – it improves job quality and satisfaction, because operators are freed to perform more and varied tasks, thereby improving their perspective on the production process of which they form part. For example, the sequence of tasks open-pit load haul truck operators face on a daily basis provides a good illustration of how quality though operator creativity assists in achieving optimum performance. Only in exceptional circumstances would fully automated trucks become the norm, and such a move would be dictated by operating conditions which pose a threat to driver safety, geographical remoteness, severe weather conditions or unusual circumstances which might cause operator fatigue. Automation may be no panacea, but if it makes real jobs less repetitive, more efficient and safer, it has to be welcomed.